Home » Forums » Public Access » Chit Chat » What missing knowledge makes you look the fool? What missing knowledge makes you look the fool? After a recent discussion, in which I think we can all agree, that everyone should at least know which places on the map our continents and which are countries, by the time they graduate ^_^, I thought I might pose people a question of their own faulting. What is something that you should know, that everyone else (at least in your field) around you know, but just don't? 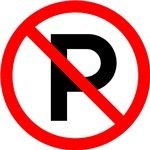 To take an example from one of my grandfathers odd ball thoughts, if you've been driving for years, you should know that the NO sign with the P in the centre, means no parking - not no peeing here. Something that I should have learned like everyone else, but somehow never did, is how to tie a bow. I can't tie a bow to save my life, be it shoe laces or packaging a gift. In fact, my shoe laces are usually tied with knots designed for joining two peaces of rope together, which will make for a snide remark, should I ever turn up at the morgue with footwear still attached \o/. But hey, as long as it's not on me tomb stone... lol. Usually ppl start to laugh when they see me while i'm trying to text. It's not that i would not know the ABC, but i still need a lot of concentration to find the right buttons :? hmm, this is an embarrassing one, although im in very good shape, and love lifting weights/circuit training. im not a very good swimmer. mainly because i have rarely swam in the past. at a very young age i had a bad experience in water and have since stayed clear of it. im now 23. the last time i swam was when i was 14, i think ive been in a pool approx. 8 hours of my life. now that im older, id love to go swimming again but im afraid im just not good enough, and when you see a guy that looks in top shape and hes not able to swim well i think it looks funny.... the whole thing has gotten quite out of hand. i really should hit the pool more. im at the stage where i dont even remember how i used to swim.. ive challanged myself in all other aspects of fitness, be it strength, cardio, combat, climbing etc the only thing left is water sports. i spent so much of my life so far training my body to be the best it can be, yet im missing a major part. I was in 3 Auto Mechanics classes in high school as well as all the advanced classes my school offered. However, I never knew what Elbow Grease was. If you had sent me to the store looking for elbow grease, I would have asked somebody at the store to help me find it. That's the first one that came to mind, because it's amazing I did all the stuff I did in high school and never knew. Well I've been swimming since I can remember, but that doesn't necessarily make me a strong swimmer, I just loved splashing around in the pool all day with the dogs, we had great fun! I had a hard time learning to swim. Finally I learned how to swim underwater first. After a while I would surface and swim a few strokes and go under again. Nobody realized it was cause I could not swim on the surface. They all thought I was a good underwater swimmer, lol. Over time I could swim more and more strokes on the surface and eventually could swim on top just fine, probably a couple miles. I studied marine biology and wrote my final practical underwater on a waterproof slate. However, I lived in Hermosa Beach and maybe went swimming 2-3 times but loved jogging on the beach. @ Medic HAHA sound advice brother. I can't cook. Everything more complex than putting something in boiling water and getting it out after a certain time has elapsed is just beyond my abilities. Good thing I still live at my parents' house. I know too little about literature and music. Friends of mine have theoretical conversations about (classical) artists and I am like "(yup,) I (don't) like that composition/that book(, too/either)." Don't Worry Spidey i got at least 3 friends who cant tie their own shoes, that's why they buy shoes without laces. And for some reason their shoes last a lot longer then mine i ruin my shoes in like a month. Man, we've had lots of fun in the field with sleeping privates and 550 cord.